How cute is she in this Pant set by Bonnie Jean! 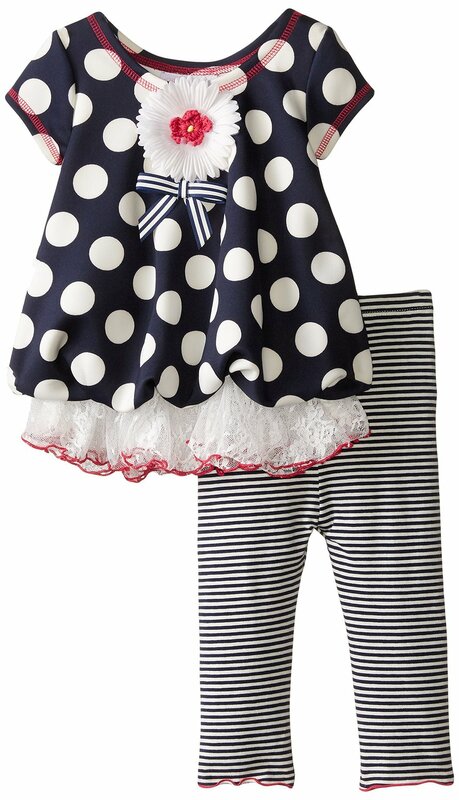 Adorable polka dot bubble top with lace trim. Striped leggings complete this set!